El Caminito del Rey is a walkway pinned along the steep walls of a narrow gorge in El Chorro, close to Alora in the province of Málaga. The path is located between the towns of Alora and Ardales, in Malaga and is 3km long and more than 100m high from the ground. It was originally built to connect two hydroelectric plants situated at both sides of the gorge and is was used as a way of transport for the workers of these two plants. 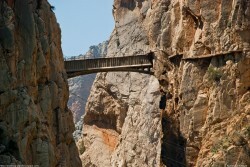 The current name of El caminito del Rey is due to King Alfonso XIII inaguating the power station in 1921. 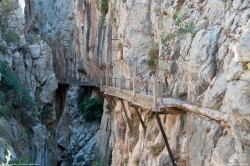 The name is often shortened to Camino del Rey, in English: King’s pathway. 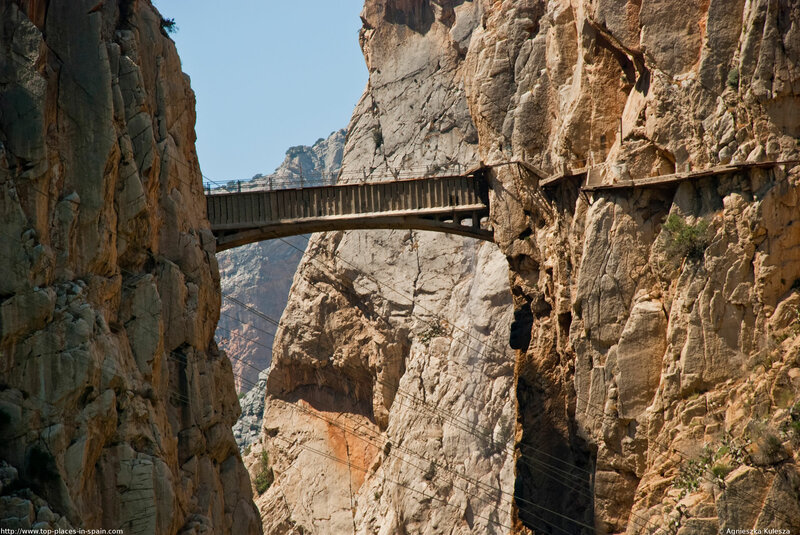 El Caminito del Rey is known also as “the walk of death” because it is probably the most dangerous path in the world. Few people have lost their life after taking this path and since then the Camino was officially closed. But people from across the world still come to Malaga to take this path and live this experience of walking above the mountains with dangerous curves and broken parts in the path. Three years back, the regional government of Andalusia and the local government of Málaga agreed to share costs of restoration and this project is scheduled to finish in 2015. But if you want to experience the Camino in its original version, you can only do it before the reformation work is done. 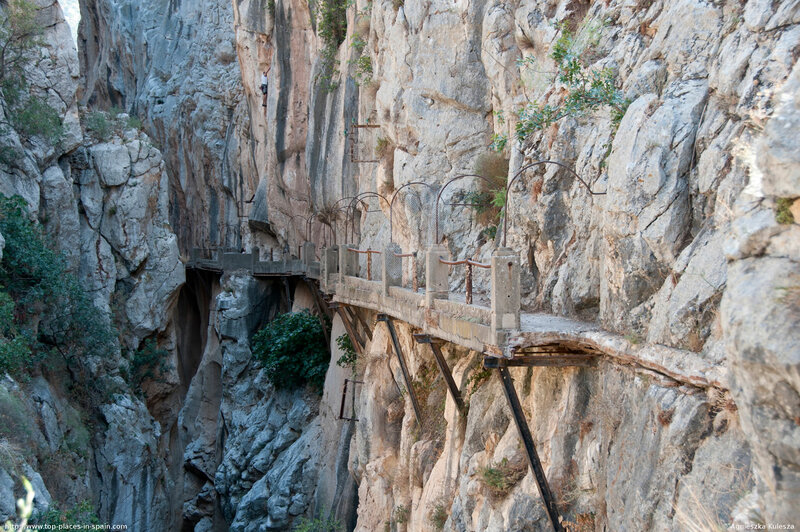 Because of all of this walking El Caminito del Rey is very very dangerous as the path is in very bad conditions and continues to deteriorate.There are many sections that have fallen away and the safety wire is thin and of dubious strength. But if you still want to take the risk and have an unique experience walking this path, is better you get prepared for it by using appropriate equipment and a professional guide if necessary. Other advice could be not walking it alone and when it is raining and to rope up when passing through the dangerous sections and in general just to be very careful when doing this.